Exciting News From Legoland Ca - Legoland Hotel Opens New Lego FRIENDS Themed Rooms! 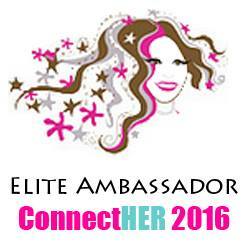 The LEGO® Friends are spending the night in LEGOLAND® Hotel at LEGOLAND® California Resort and you can too! New LEGO Friends fully themed rooms are now available to book as guests are invited to take an adventure with their families and discover Heartlake City in a new way. On March 10, 2016, guests can begin their LEGOLAND California Resort adventure by spending the night in the newly themed rooms all before heading into the Park to enjoy the day in the land of LEGO® Friends Heartlake City. 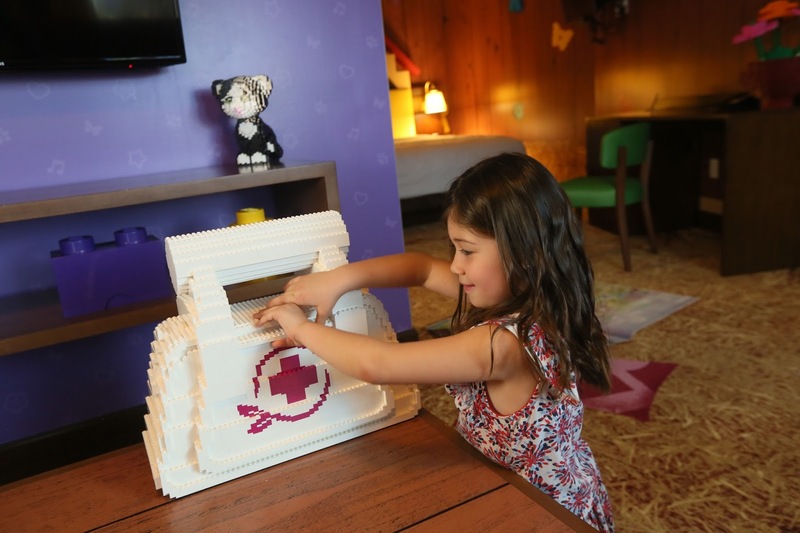 Filled with 12 LEGO® models inspired by Heartlake City throughout each of the 11 rooms and one suite, guests will be able to spend a night like Emma, Mia, Andrea, Stephanie and Olivia. Kids will recognize Goldie the Bird, Scarlett the Dog and Felix the Cat in LEGO form as they enjoy sleeping in bunk and trundle beds themed as the Friends Tree House. Plus, kids will have their own TV, games, LEGO bricks and a treasure chest hidden just beneath a LEGO themed tree! Parents will also sleep in style with their own themed version of Heartlake City Stables and families will enjoy getting ready for their day at the Park in Stephanie’s Beach House themed restrooms. Recently recognized by TripAdvisor as a 2016 Traveler’s Choice winner, LEGOLAND Hotel now offers guests four room options when booking their stay. Guests can choose from a Pirate, Adventure, Kingdom or LEGO Friends theme. In 2015, LEGOLAND California opened a new land, LEGO Friends Heartlake City complete with Mia’s Riding Camp, a 62 horse and jeep carousel ready to take guests on an adventure, the Heartlake Fountain where children can splash about and the Heartlake Stables ready for LEGO building activities. Guests can also sing along with the LEGO Friends on the Friends Forever Stage all before enjoying delicious crêpes at the City Park Crêperie. 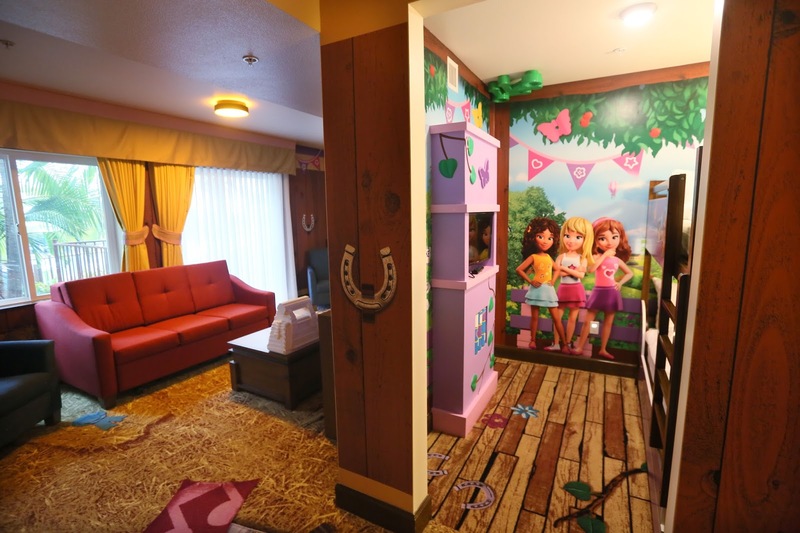 LEGO Friends rooms are available to book now and will open for guests to enjoy for the first time on March 10, 2016. For Hotel room rates, ticket prices, operating schedule and additional information, visit www.LEGOLAND.com or call 760-918-LEGO (5346) or just click HERE! I will be headed to the Legoland CA Resort to check out all the fun and new rooms on Wednesday afternoon so follow along on social media and watch live on Periscope!